Congregational Church | Scuffalong: Genealogy. Congregational Church – Scuffalong: Genealogy. 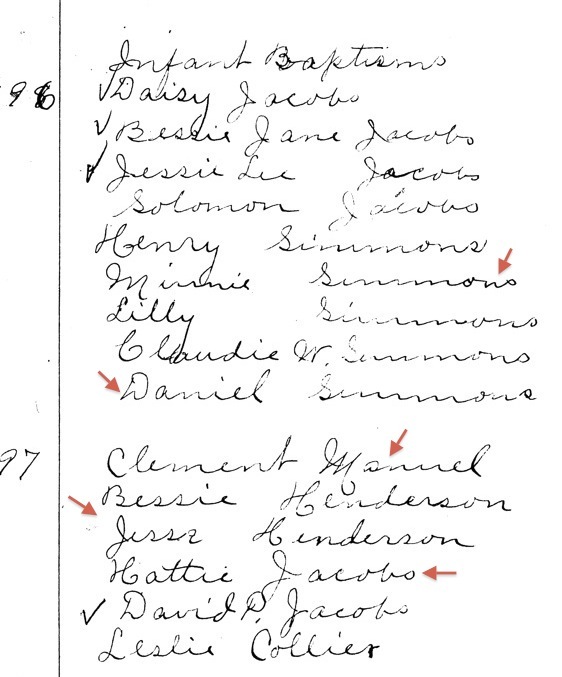 From the records of the First Congregational Church of Dudley NC, an excerpt from a list of infant baptisms that reveals the centrality of the Henderson family in the church’s early congregation. In 1896, two of the nine babies baptized were siblings Minnie and Daniel Simmons, born in 1887 and 1895, children of Hillary and Ann Elizabeth Henderson Simmons. The following year, Hendersons comprised two-thirds of the infants baptized. Clement Manuel (1897) was the grandson of Edward and Susan Henderson Wynn. (His parents were Alonzo and Sallie Wynn Manuel.) 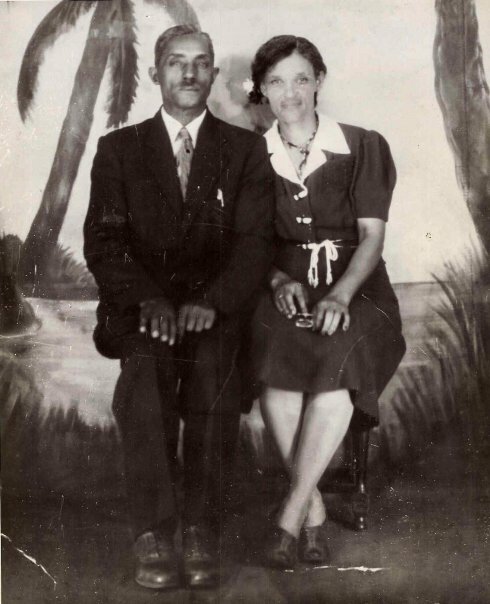 Bessie and Jesse Henderson, born in 1891 and 1893, were children of my great-great-grandmother Loudie Henderson, and Hattie Jacobs (1895) was Sarah Henderson Jacobs‘ daughter. Copy of entry made from originals held by First Congregational Church, Dudley NC.